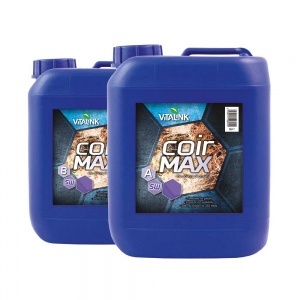 VitaLink Coir MAX is an advanced yet easy-to-use coco coir formulation that is scientifically proven to deliver excellent plant results. 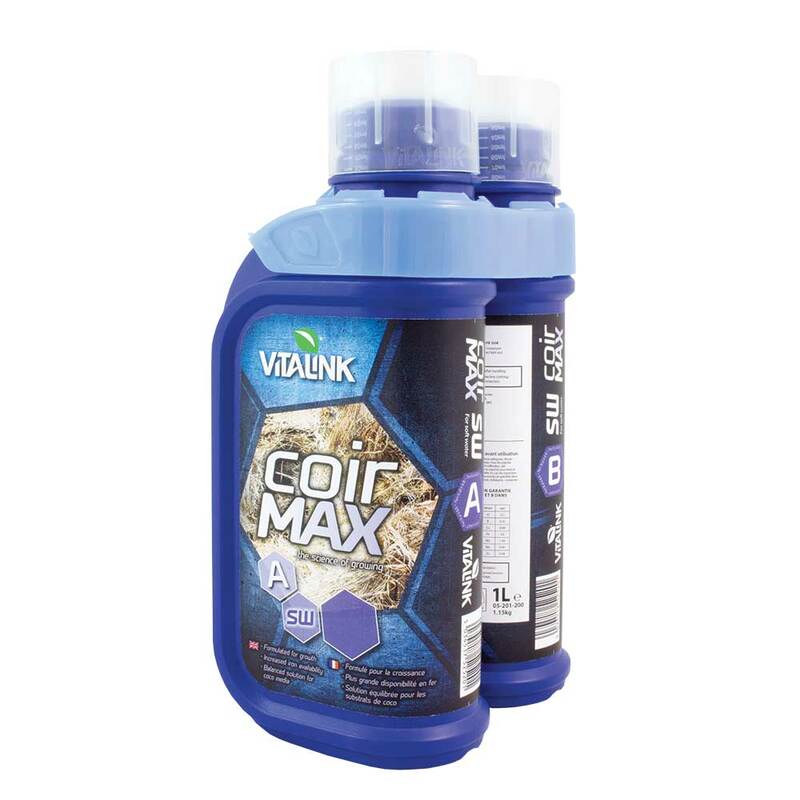 VitaLink Coir MAX has been developed specifically for the unique properties of coco coir media and contains a key level of all elements including added EDDHA (increases iron availability) and fulvic acid (aids nutrient uptake). Two part complete plant feed formulated for maximum growth in coco coir media. Should be used from week 1 of vegetation right until flowering week 8. Formulated for soft water locations.